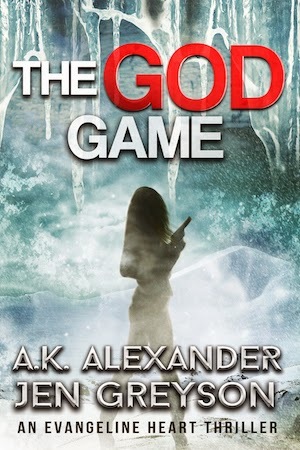 The first in a new urban fantasy by New York Times bestselling authors A.K. Alexander and Jen Greyson. What happens when you're a professional assassin and your fiancé is murdered in retaliation for your latest kill? 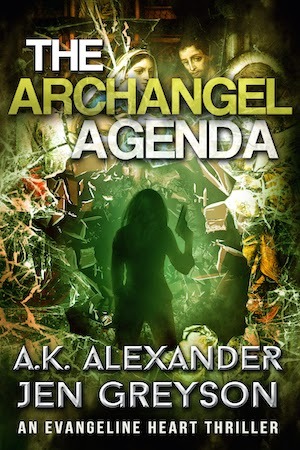 Just ask Evangeline Heart, who is visited by the Archangel Metatron soon after burying her soul mate, Griffin, and told she must rescue Griffin's soul from the dungeons of Hell. In the first segment of The Evangeline Heart series, Evangeline (Lina) will join forces with a professional thief, a bumbling scholar, and an archangel who together will battle the forces of evil in hopes of saving the future for mankind. A free holiday short story. 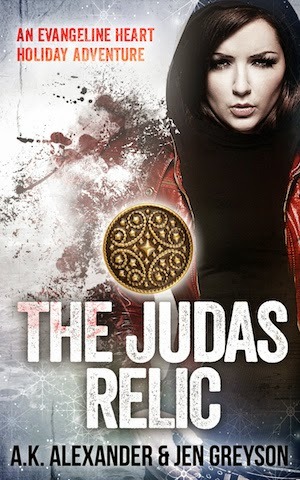 Professional assassin Evangeline (Lina) Heart is back in this holiday short story in her quest to discover the next relic she needs to unlock the gates of Hell and release her fiancé’s soul. Who she doesn’t expect to get in her way (yet, once again) is her new sidekick, thief for hire to the wealthy and eclectic, Clay Wellers. As Clay enlists Lina in what at first appears to be a simple heist of a famous painting, they encounter more than they bargained for. They soon discover that this holiday season things are about to take an unexpected turn. In the second stage of Lina's quest, the stakes are higher, the enemies bigger, and the heist nearly impossible. This time, Lina and Clay are going after the sword used by the apostle Peter against the soldiers in the Garden of Gethsemane--a weapon missing for over a thousand years. Metatron has assembled a unique team to help Lina on her quest to locate three ancient relics that hold the keys to unlocking the gates of Hell--a scholar as ancient as the relics he knows about, with a slipping mind and fierce fervor for the cause, a flippant but very cute professional thief who doesn’t take anything serious, except maybe the day’s fantasy football picks, and Lina's aging mentor recovering from hip surgery round out her crew. Lina soon realizes that The Angel of Death and his foot soldiers will do whatever they can to keep her from succeeding, and while she’s used to having bad guys after her, looking over her shoulder in The God Game has upped the ante to an entirely new level.